The state of Georgia has one of the hottest housing markets in the United States. A FHA 203k Loan is often referred to as Rehab Loans. Renovation Loans through the FHA 203k Loan programs allows home buyers or homeowners to do renovations to their homes without plenty of equity in their homes. 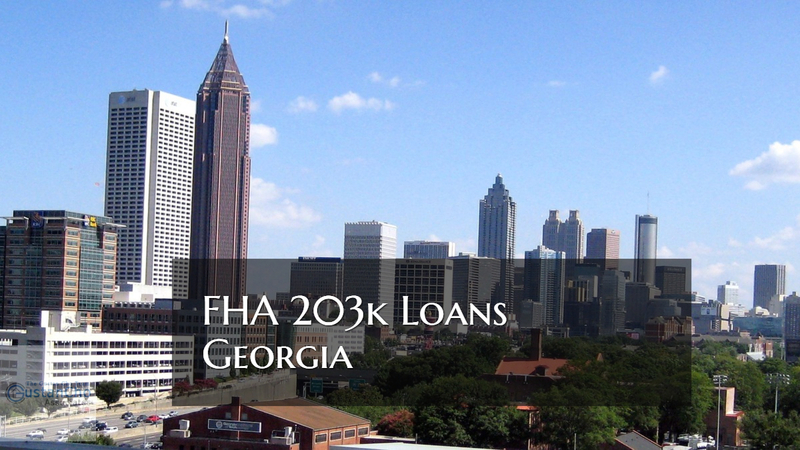 As mentioned earlier, to qualify for FHA 203k Rehab Loans Georgia, borrowers needs to meet all of the FHA Guidelines. Home buyers can often get deals when buying a fixer upper or foreclosure where the home is not habitable. Home Buyers of fixer uppers or foreclosures who want to make a dream home or homeowners that needs to renovate their homes with FHA 203k Rehab Loan, please contact The Gustan Cho Team at Loan Cabin Inc. please contact us at 262-716-8151 or text for faster response. Or email us at gcho@gustancho.com. We are available 7 days a week, evenings, weekends, and holidays to take your mortgage inquiry.